lifestyle and fashion stores, concept stores and specialized websites in over 30 countries. Want to know more about the possibilities for you? 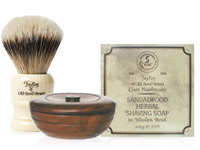 Taylor of Old Bond Street has been manufacturing luxury grooming products for men since 1854. 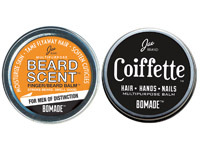 They offer the finest range of shaving brushes, razors & shaving accessories, deodorants, talcs, soaps, oils, combs, shaving mirrors, aftershaves, colognes & men's shaving gifts. 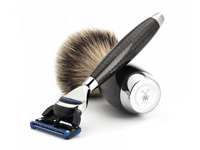 Mühle made their first shaving brushes in Stützengrün in 1945. Since then, the location has been consistently expanded and further developed. Today, Hans-Jürgen Müller GmbH & Co. KG is an efficient, innovative company which combines industrial expertise with a high degree of skilled craftsmanship. With the private brand MÜHLE they are the only manufacturer worldwide producing a superior full product range for wet shaving. 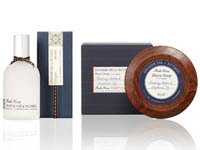 Swedish skincare brand Recipe for men has developed skincare products especially designed for men since 2002. Their philosophy is simple: The long, unforgiving Scandinavian winter is our best friend. 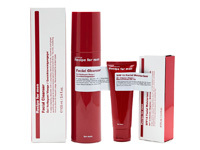 With its skin-torturing climate Scandinavia is the ideal proving ground for skincare products. All Recipe for men products are duly tested in weather conditions that your skin hates. That’s one of the reasons behind the global success of the brand. Raw Naturals Brewing Company is a new, unique grooming line from Recipe for men. A distinct natural profile runs through the entire product range - from manufacturing processes and key ingredients to conceptualization and packaging design. The identity of the brand is based on local production, environmental awareness, and an experience of genuine small scale production. 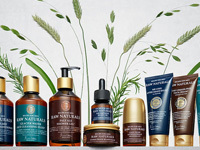 Raw Naturals Brewing Company is supposed to remind of a microbrewery for skincare – just as the name suggests. RAW Naturals is optimized to be as natural as possible and at the same time meet the requirements on quality, safety and efficacy as Recipe for men stands for. Prospector Co. is a product line for those who seek purpose and forethought in their skin and shave products. 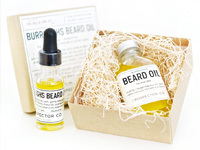 What began with pre-shave, post-shave and no-shave formulas for men has expanded to include wares for women, as well as categories in shaving, personal fragrance and interior scents, body creams and cleansers. Handmade in the USA. Bath House is a fragrance and natural skincare brand founded in 1997 by a creative team of artists and designers who live and work in the Lake District. Passionate about art, design and poetry, we seek inspiration in the beauty of nature and from our personal experiences and emotions. We bring this to life in the form of fragrances and skincare infused with evocative aromas and pure ingredients. Our recipe is a blend of passion, nature, artistic creativity and artisan production. 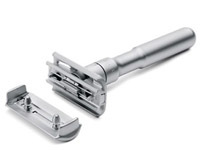 FEATHER Safety Razor Co., Ltd. is a typical Japanese company from Osaka. 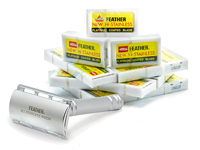 They have been prodcucing razors since 1932 and due to the high quality, Feather is one of the leading razor companies in the world. 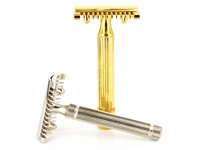 The spare blades, both for the safety razor and the straight razors are considered by experts all the best on the market. Jao Ltd. is focused on healthy, multipurpose products. When one product does many things we buy less, and consume less. Our unisex products will become your talismans to keep you clean, soft, smooth, and herbally uplifted. 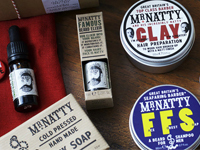 Mr Natty was launched in 2011 by Matt Raine and Matt Brooke. Raine (left) is a classically trained British Royal Court Barber and hairdresser who is an expert in his industry working with fashion models, rock stars and royalty. Brooke (right) is a creative director and photographer who has worked with some of the biggest fashion magazines, celebrities and most prestigious fashion brands in the world. Since the nineteenth century, PREMANA , picturesque and isolated village in the mountains bordering the Lecco lake, has been a renowned centre for the production of blades, scissors and knives. The roots of this specialisation in iron-related industry trace back to the Roman Empire times, when important iron veins were discovered in the region. Since 1882, FAZZINI 's family has been among the most recognised manufacturers of blades and scissors. Dovo Steelware (1906) – a name and a place which stand for quality, design and experience. Since 1906 we engage daily in development, presentation and production of premium cutlery and shaving items. All over the world our products are valued highly, and they often last a lifetime. 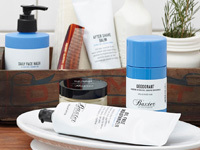 Baxter Finley sought for a skin care product specifically tailored to the needs of men's skin. Since he did not find what he was looking for, he solved the problem by creating his own line of toiletries. Baxter of California brand products were introduced in 1965 as the first line of cosmetics for men in the US market and are still a great success to this day. The brand offers everything the modern man requires to maintain a neat and masculine appearance.